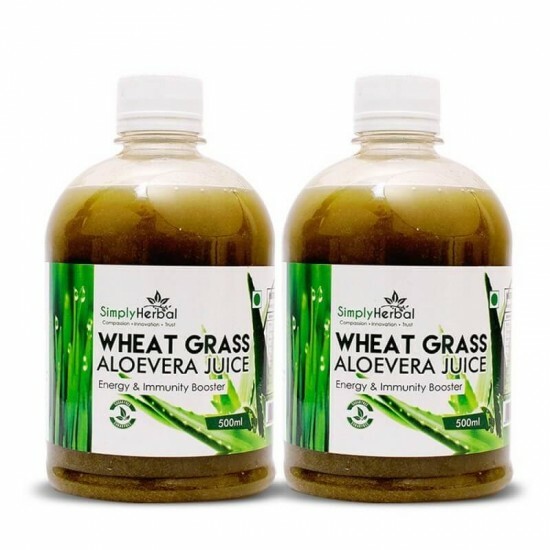 Wheat Grass Juice Pure Health Benefits of Wheatgrass Juice Powder Include Antioxidant Properties, Stimulating Metabolism, Supporting Digestion and Detoxification of the Body and More. Aloe Vera Is Considered to Be a Nutritional Storehouse. It Acts as an Immune Booster, Antioxidant. 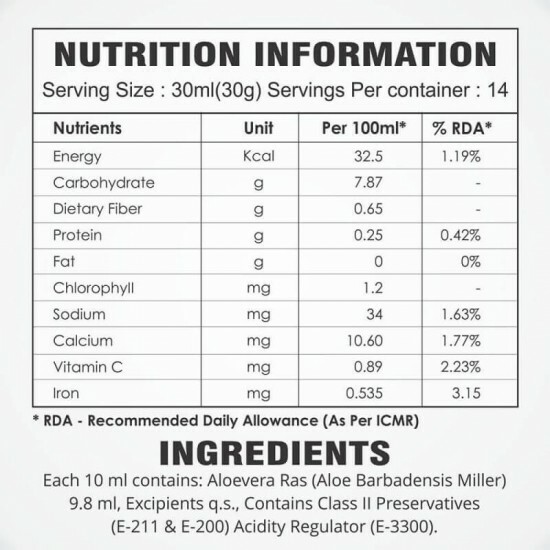 Wheatgrass and Aloe Vera in Rich Chlorophyll, Protein, Vitamins, and Minerals. 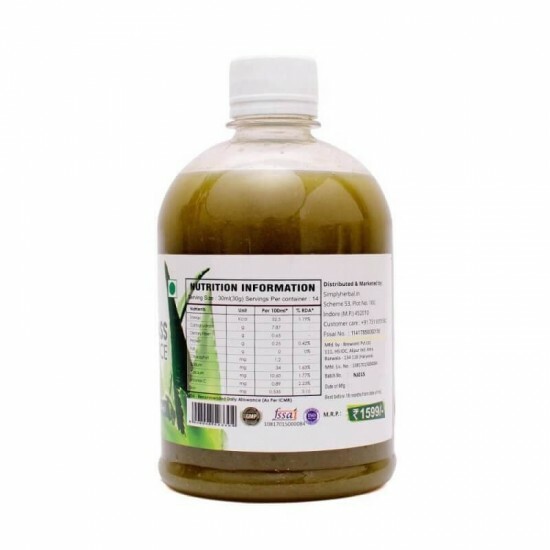 Help in Cleansing & Detoxifying the Body & Helps Purity of the Blood. Supported Weight Loss Digestion & Immune System. Wheatgrass Is a Naturally Occurring Source of All Minerals Known to Man and Hosts a Plethora of Vitamins, Is Rich in Protein, Contains 17 Amino Acids and Has Up to 70% Chlorophyll. Effective Anti-ageing Agent, Controls Graying Hair, and Dandruff Improve Functioning of the Digestive System. Gargling With It Brings Relief to a Sore Throat Cleanses the Skin, Purifies Blood, Kidneys, Liver and the Urinary Tract. 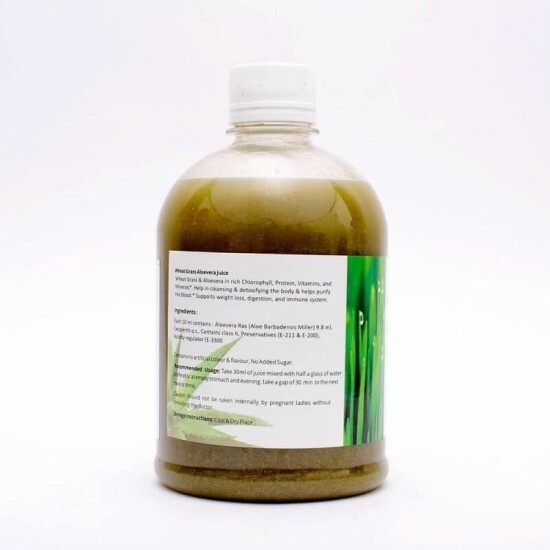 Enhances Capillary Strength and Reduces Blood Pressure. Consume 30 Ml of This Juice With 30 Ml of Water Twice a Day to Feel It's Positive Impact on Your Body.